The Butler Bulldogs have officially established themselves as one of the consistently best teams in the country. Fans will be glad to know there will be plenty of different ways to watch Butler Bulldogs basketball online all season. The regular season games are broadcast across several FOX networks, like FS1 and FS2. Then, once March Madness begins, you’ll be able to watch games on CBS, TNT, TBS, and truTV. Regardless of which of these channels the games are one, you’ll likely have a simple way to get a live stream. The below guide discusses all of your different options below, so read on to get set up to not miss any Butler games this year! A great way to watch Butler game online is AT&T’s foray into the streaming services market, DIRECTV NOW. The service costs $35 per month for a starting package that includes more than 60 popular streaming channels. During the regular season, you can live stream games on FS1, FS2, and other FOX Sports networks. Then, come March Madness, you can watch on TBS, TNT, or truTV. You can test out DIRECTV NOW and watch Butler Bulldogs basketball online free for a week with a 7-day free trial. Head over to our DIRECTV NOW review for more information. Sling TV is another popular streaming service that’ll let you get a Butler Bulldogs game live stream for sure. The Sling Blue starting package is the way to go because it includes FS1, FS2, and even FOX’s main network in certain areas. Plus, it only costs $25 per month and lets you live stream TBS, TNT, and truTV to watch Butler game online during March Madness. One thing to do before signing up is to check out the current deals on Roku streaming devices. There’s usually great offers for anyone who is a new subscriber to Sling TV. 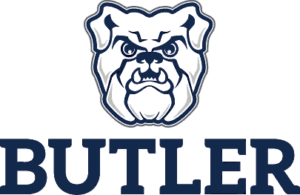 If you’re still unsure, you can always watch a Butler Bulldogs game streaming free with a weeklong free trial on Sling TV. Our review of Sling TV will answer any other questions you might have. CBS All Access will be a really helpful service to get a Butler Bulldogs game live stream during the tournament. You can live stream whatever CBS is broadcasting in your area for a starting price of just $5.99 per month. Plus, you can always watch some games for free with CBS All Access’s own 7-day free trial. 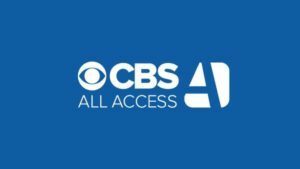 We’ve got a CBS All Access review of the service that will help you learn more about the service. FuboTV markets itself as the ultimate streaming service for sports fans and it will let you watch Butler game online during the year. It’s not as helpful during March Madness but does include FS1, FS2, and other FOX networks in its starting package. This package costs $35 per month and offers more than 80 streaming channels in total. 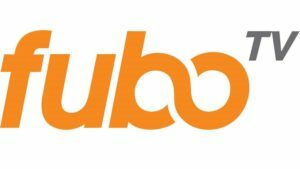 There’s obviously a lot to watch on fuboTV, so check out our review to get more information. Take a look at our March Madness guide to learn more about watching the entire NCAA Tournament. Or, head over to our full college basketball guide for details on watching some of the best teams in the nation.